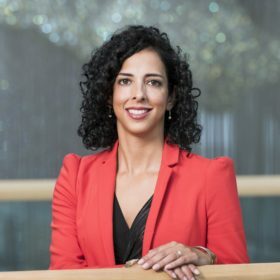 Marta Tufet joined UKCDR as Executive Director in January 2018. She leads UKCDR providing high-level engagement and strategic coordination of the SCOR Board. Marta previously led the development of the UK Department of Health’s first NIHR Global Health Research Programme, while on secondment from Wellcome, where since 2009 she had been developing and implementing a wider range of Wellcome’s strategic research funding partnerships and capacity strengthening initiatives in developing countries, including fast-tracking the Ebola research response. Marta has a broad understanding of policy, research and the funding landscape having previously also worked at the African Academy of Sciences in Kenya to establish the Alliance for Accelerating Excellence in Science in Africa (AESA), the Bill & Melinda Gates Foundation in Seattle, the Charles Darwin Research Station in the Galapagos Islands, and at the journal Nature. She is a Trustee of the Royal Society of Tropical Medicine & Hygiene and Chair of its Grants & Awards Committee, and a Trustee of the Galapagos Conservation Trust. Marta has a research background in malaria with a B.Sc in biology and a PhD in parasitology from Imperial College London.